Used boat parts are an invaluable option for older boats where manufacturers are no longer making parts and for some that are looking for cheaper alternatives to high priced replacement parts for their boats. We have a different approach to used parts sales than most. We want to ensure you are satisfied and come back for more! Our experienced staff are there to assist you and answer questions to help get you back in the water and enjoying your weekends. We test most parts prior to selling and those that we can’t, are guaranteed* to work. As we are a boat wrecking yard, some parts are still in boats and are untested at the time of purchase. You can be guaranteed that we won’t take your money and leave you stranded! We have a large selection of older model boat parts for sale. Windshields, motors, chrome packages, seats, canopies, swim platforms, out drives, gas tanks, ski bars, boat fridges, alcohol/electric stoves, windshield wiper motors, gage clusters, steering and controls etc. Sorry we have too many parts and quick change over that we can not offer an online catalogue. Give us a call as we have EVERYTHING related to boating. If you don’t see it listed, please call us 705-559-4191 as just we can’t post everything on the web. I am looking for two of the reclining back to back seats. Do you have any in good condition? We have all kinds of back to back seats. Yes we have quite a few. Do you have a swim ladder for a pontoon boat? We have lots of swim platforms that should fit off other boats. HI I have a 1989 Johnson 40 hp with a 11.75×17 prop and I need a more agressive pitch . I see OMC made a 11.25×19 and an 11.25x 21. Would you happen to have either of these ? Yes we have some available. I need a top cowling for a 25 hp merc, serial# 0t692893 year 2003.
do you have any running 40hp 4 stroke outboards? looking for windshield for my 1977 1750 ranger Aztec boat (dark) right side. would you have one ? I’m looking for rear bench seat for my 17 foot bow rider I/O. Looking for the side windshields for a 1990 Thompson Moritz 250. Have any? Hi I am looking for a windshield for a 1975 16 foot starecraft? Do you have any of them? It is a one piece moulded. Hi, I’m looking for a Juccuzi 12yj jet drive pump in good condition. Thanks. 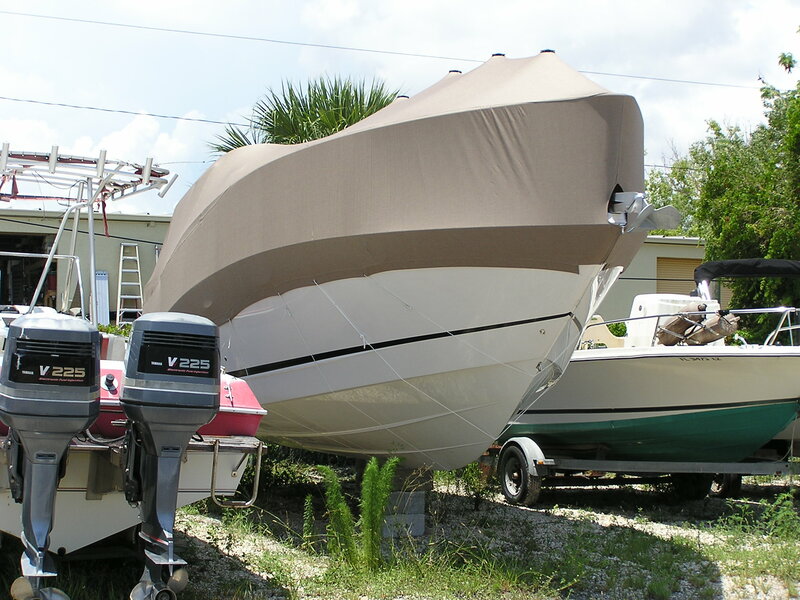 Do you have a boat cover for an 18 foot Hydrostream V king? I am looking for a exhaust manifold for a 1982 485 mercruiser 4 cyl 3.7 litre 224 cubic inch motor. I have a cast one. Would you have one and how much? Thanks. Not at the moment but try back later. Would you have the lower unit for a Johnson 50. Model # j50belcta. Mine has a big crack in the front of it so I need a new one. Please call us at 705-559-4191 as we have more questions that need answering first. looking for the cabin door hooks for 1986 Searay Sundancer.. Yes we should have them available. Looking for the bow railing holders for 10 inch fenders..2 fender holder ..?